Farley: Improved dealer relations have given Ford strength to encourage consolidation. the company wants to reduce its dealer body by about 10 percent. DETROIT -- Ford Motor Co.'s top marketing executive says the automaker wants to slim down to about 3,000 U.S. dealerships -- about 10 percent less than today. 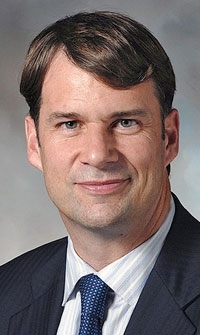 Jim Farley, Ford's group vice president for global marketing, sales and service, did not say when the automaker wants to reach 3,000 dealerships. He spoke last week at an investor conference in San Francisco. At the end of July, Ford had 3,338 U.S. dealerships, including 261 stand-alone Lincoln-Mercury dealerships. Ford has been reducing dealership ranks for years by encouraging dealers to buy one another out. The company contributes cash to some deals. Ford also is shuttering the Mercury brand by the end of the year. That adds pressure on some of the stand-alone Lincoln-Mercury dealerships to consolidate with Ford franchises. There are no Mercury stand-alone stores. Farley says dealer relations have improved in recent years, giving Ford strength to encourage consolidation. But the value of many Ford dealerships has rebounded this year, so some dealers may be reluctant to give up a franchise.